Its furred bushy tail is distinctive amongst mouse sized animals. 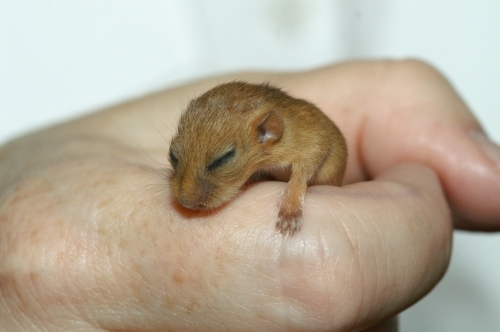 Small size and bright golden or orange brown pelage make it very different from the edible dormouse. Juveniles are a greyer brown. The hazel dormouse lives in woodland, scrub and hedgerows, rarely venturing down to ground level except during the winter, when it hibernates under the roots of trees. It is a nocturnal animal and is rarely observed. The most likely exception might be a sighting in a garden that adjoins its habitat. The species is concentrated in the southern and western counties of England, with its apparent stronghold being Kent. 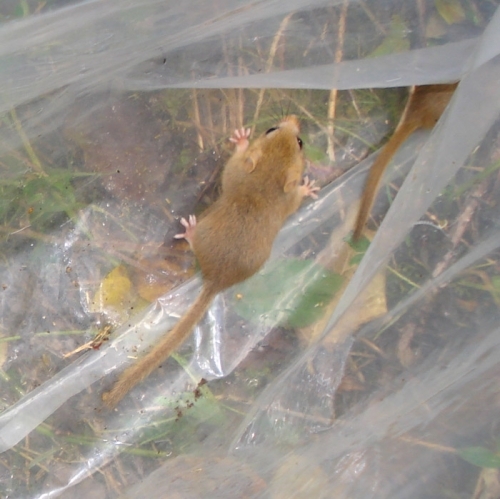 The Kent Mammal Group currently monitor the dormouse presence in seventy areas of woodland spread throughout the County and, with only one exception, have never failed to find them in woods over twenty hectares in extent, including coniferous and mono culture cultivation, e.g. chestnut coppice. Additionally they are known to have bred in areas of mixed heather and gorse. Hedgerows not only act as corridors linking woods but, if suitably large and thick, also serve as breeding sites. 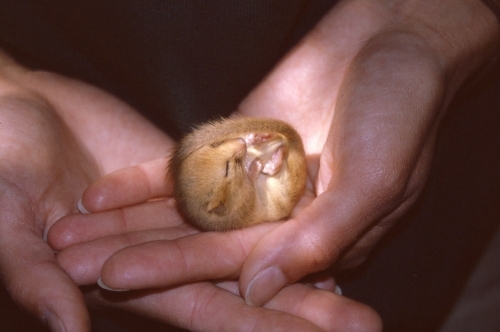 They are also found in woodland of less than twenty hectares but it is thought that twenty constitutes a minimum hecterage for viable populations of dormice. 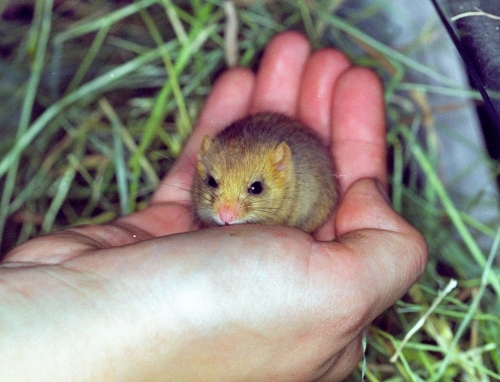 Despite Kent being the stronghold for dormice, their numbers are always limited. 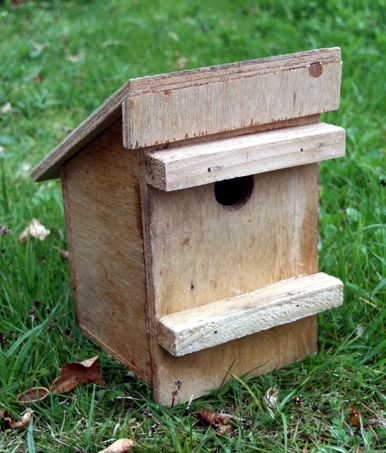 This may be because we can monitor only those which use the dormouse nest-boxes we erect. There may be others which spend their time between April and October in the canopy of the trees, rarely coming down and therefore using the nest-boxes infrequently, if at all. 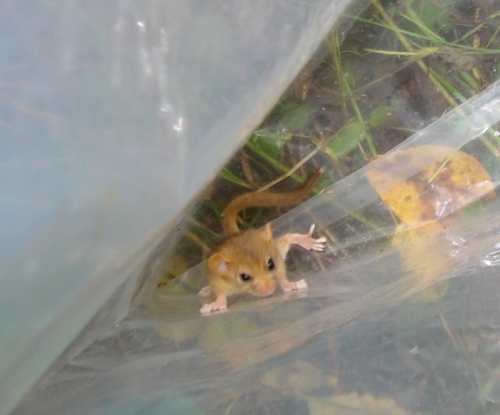 Radio tracking in Kent has shown that dormice spend long periods in the tree tops without descending. 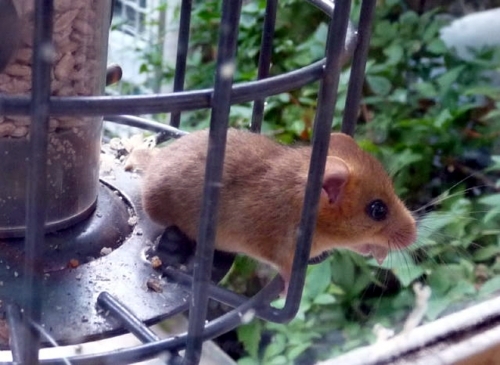 Numbers of dormice found in nest-boxes are always at their best in September and October, probably because dispersing young seek sanctuary in the boxes and possibly because dormice descend from the tree canopy to eat hazel nuts and gain weight prior to the winter hibernation. Their longevity was also established in Kent. By tattooing their ears it was found that they can survive for as long as six years in the wild. 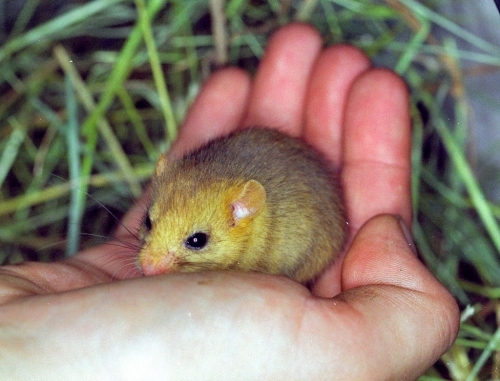 Because of its distinctive appearance there are no other species that are likely to be confused with the hazel dormouse. 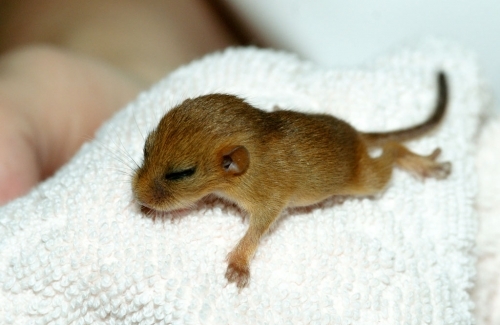 The hazel dormouse is this country’s rarest terrestrial mammal. It is protected by the Wildlife & Countryside Act 1981, as amended in 1986 (Schedule 5) and subsequent European legislation. It is a criminal offence to interfere with dormice without a licence and even then within clearly defined constraints. Any disturbance, trapping etc requires a licence. 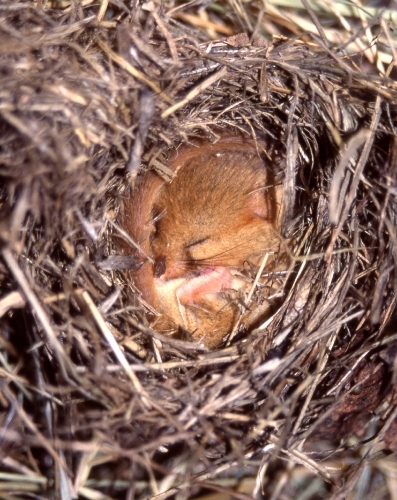 Since 1992 the National Dormouse Monitoring Scheme (NDMS) has tracked changes in relative numbers suggesting that the national population decline continues – especially in northern counties. 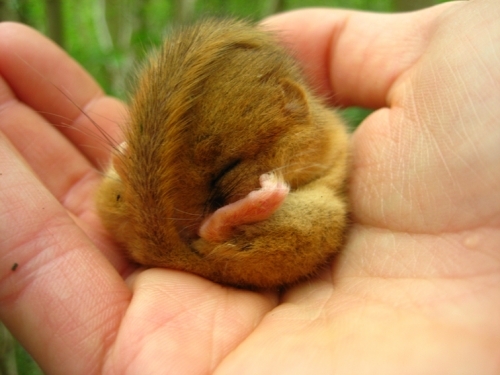 The Kent Mammal Group in collaboration with the Wildwood Trust provides dormouse ecology and handling workshops several times a year, primarily to commence the training of volunteer surveyors who will assist with monitoring the seventy sets of nest-boxes erected in compliance with the NDMS. Having attended these courses the volunteers then work with licensed surveyors for at least a year to gain handling experience of dormice.